Searching for advice on canceling a timeshare contract in Missouri? The State of Missouri has created a litany of timeshare laws to regulate the timeshare industry within the state. With the popularity of Branson Missouri timeshare resorts, it became necessary to create the Missouri Timeshare Act, a set of legal provisions to protect those who would buy a timeshare in Missouri from the possibility of fraudulent or misleading timeshare sales tactics. Missouri timeshare law addresses the coercive and manipulative practice of luring possible timeshare purchasers with gifts, awards and prizes. The Missouri Timeshare Act also protects purchasers with the capacity to rescind a timeshare agreement if they change their minds and want out of the timeshare contract. Missouri timeshare rescission law is time-sensitive and must be followed to the specified measures in order to be valid. How does the Missouri Timeshare Act provide consumer protection from Branson Missouri timeshare promotions? How do I terminate a timeshare agreement in Missouri? What are the requirements of Missouri timeshare rescission law? 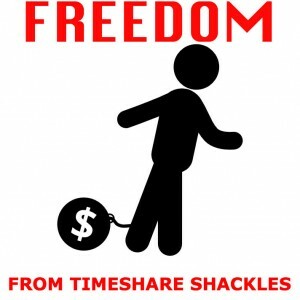 What happens if I quit making the payments on my timeshare? What is the foreclosure process in Missouri? Will abandoning a timeshare in Branson Missouri damage my credit? Following are the details of the Missouri timeshare law and the actions you must take to rescind Branson Missouri timeshare contract or identify Branson Missouri timeshare promotions that are in violation of the Missouri Timeshare Act. Timeshare salespeople are well-known for attracting individuals to sit in on timeshare sales presentations by providing totally free vacations, meals and even expensive gifts. Missouri has stringent guidelines and even restricts certain content that resorts can use in devices meant for promotional purposes. These promotional devices include contests, sweepstakes, drawings, display kiosks, and gifts used as incentives to convince people to attend timeshare sales meetings. The declaration that the promotional program, letter, brochure, presentation, gift, etc. is actually a tool being used by the resort for the sole purpose of selling of Missouri timeshare plans, properties or units. The exact date which all of these types of promotional devices will certainly be delivered. The way that the resort intends to deliver the awards and/or gifts in the promotion. What the actual odds are that participants will receive said promotional devices. The actual MSRP (retail price) of the promotional item. The official business name, address/physical location of each timeshare resort or business/company participating in the timeshare promotion and/or timeshare sales presentation (Mo. Rev. Stat. Â§ 407.610(1)). According to Missouri timeshare law, the above information and disclosures regarding Missouri timeshare presentations and promotional devices must be presented within a sensible time period prior to the sales presentation. Unfortunately, this info has to be given to the potential purchaser only once, either electronically or in written form. The Missouri Timeshare Act does not require the sales presentation promotional device information to be included in every single promotional advertising method, oral communication or electronic ad medium prior to a scheduled sales discussion (Mo. Rev. Stat. Â§ 407.610(2)). Furthermore, a Missouri timeshare sales representative may not utilize deceptiveness, scams, incorrect guarantees, misleading information, unreasonable techniques, or the disguise, suppression, or omission of any kind of product fact in connection with a device used in timeshare promotions, ad, or sales (Mo. Rev. Stat. § 407.610(2)). In some cases, timeshare salespeople fail to come through with the prizes and gifts promised to possible buyers following the Missouri timeshare presentations. Missouri timeshare legislation has seen to it to ban this misleading and deceptive timeshare sales technique. Missouri timeshare law has made provisions to reward prospective timeshare buyers in the case that they do not receive the promised gifts or awards. If a prospective timeshare buyer does not obtain the gift promised or at least the cash equivalent, they’re allowed to initiate a civil action against the timeshare seller for damages. If the claimants prevail, they will be rewarded a cash value of at least 5 times the MSRP of the most pricey promotional item offered. However, this value cannot go beyond $1,000 in addition to such various other damages as might be determined by evidence supplied to the court(Mo. Rev. Stat. Â§ 407.610(6)). If you act quickly, you may be able to get out of a Missouri timeshare contract without securing the services of a timeshare attorney Missouri law provides a timeshare rescission process whereby a new timeshare owner can cancel the contract on his or her own behalf. Canceling a Missouri timeshare contract is possible, but time is of the essence. A new timeshare owner may rescind the timeshare contract within five days after the date the Missouri timeshare contract was signed. To terminate the timeshare agreement, you may deliver written formal notice by hand or postal mail to the original seller of the timeshare. Should you submit your formal, written cancellation notice via postal mail, the official date of rescission would be the date of the postmark (Mo. Rev. Stat. Â§ 407.620). A timeshare buyer’s rights to cancel a Missouri timeshare contract within those 5 days can’t be waived under any circumstance or mutual agreement between buyer and seller. 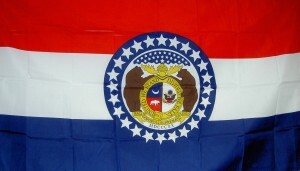 (Mo. Rev. Stat. Â§ 407.620). If you finance your timeshare purchase for a deeded timeshare and do not make the agreed-upon Missouri timeshare mortgage repayments or required assessments, foreclosure will be imminent. Real estate and timeshare foreclosures in Missouri may be judicial or nonjudicial. Missouri timeshare owners commonly are obligated to pay not only mortgage payments related to timeshare ownership (should they not pay for the timeshare outright), but also special assessments, maintenance fees, taxes, utilities, etc. Canceling a timeshare contract in Missouri is a better decision than letting your timeshare slip into foreclosure, which can subject you to a barrage of collection calls, stress and ultimately severe damage to your credit score. Read up on the Missouri Timeshare Laws online by visiting http://www.moga.mo.gov, choosing”MO Statutes” and then clicking “View All Statutes.” The statutes that regulate Missiouri timeshare laws are located in Title XXVI Trade and Commerce, Chapter 407 – Merchandising Practices. Too Late to Cancel a Timeshare in Missouri? If canceling a timeshare contract in Missouri isn’t an option for you according to the Timeshare Laws of Missouri, call the Missouri timeshare redemption experts at Redemption and Release, LLC now for a Free Consultation. Redemption and Release, LLC can make your Missouri timeshare cancellation exit strategy simple and cost-effective. Contact us today at 1-888-743-9051 or use our Online Contact Form to request free, no-obligation information about canceling a timeshare contract in Missouri.